This wonder remedy that guarantees energy and focus is something most of us are only too keen to gobble up in spite of negative reports that some of the additives could be harmful. 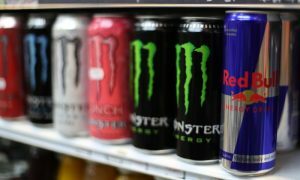 A survey by the research company Analytix Business Intelligence shows that South Africa is the country with the highest consumption of energy drinks with a high caffeine content. More than 6 million South Africans over the age of 15 years take at least one energy drink per week. “Taking energy drinks is becoming more and more fashionable among young South Africans,” says Berna Harmse, former president of the Association for Dietetics in South Africa (ADSA). Experts ascribe this to the fact that the manufacturers of energy drinks mainly target young people and market it as a lifestyle drink. While, according to experts, the highly extolled stamina and improved performance can only be ascribed to the sugar and caffeine they contain, the focus on young people is disturbing as a growing number of American doctors are of the opinion that it is dangerous to children and teenagers. Experts caution that this is a drink for adults and is not meant for pregnant women, breastfeeding women and people with latent health problems. However, all consumers must be very wary of energy drinks because they contain ingredients that could have dangerous side effects ─ especially if you already are having problems with your health. Injudicious use and ignorance often lead to a lot of additional health problems. Heart attack: Energy drinks make the heart muscle contractions more powerful, which could lead to abnormal heart rhythms if you have heart problems. Headache and migraine: These are caffeine withdrawal symptoms. Feeling of anxiety: Some people experience this when they take energy drinks containing caffeine. Bigger doses of caffeine can even cause panic attacks. Insomnia: Too many energy drinks can cause insomnia, which, in turn, causes sluggish thinking. Type 2 diabetes: The high sugar content can, with time, damage the insulin-producing cells in the pancreas, which can develop into Type 2 diabetes. Interaction with medication: Some of the ingredients, for instance ginseng, can be the cause of prescription medicine not working effectively. Addictive effect: If you become addicted to the caffeine, you will probably have a problem doing your job without your daily energy drink. Reckless behaviour: You can become intoxicated by the caffeine and experts say you may be more likely to run dangerous risks. Trembling and nervousness: Nervous behaviour, trembling, irritation and loss of concentration are symptoms of caffeine overdose. Vomiting: Drinking too many energy drinks could lead to vomiting, which, in turn, could lead to dehydration. Allergic reactions: Because energy drinks contain various ingredients to which you may be allergic, you could experience numerous allergic reactions, from itching to respiratory problems. Apart from high concentrations of caffeine and sugar, most energy drinks consist of a concoction of stimulants such as taurine, ephedrine, guarana, ginseng and the B group of vitamins, which could literally make your head spin. And yet, there are no restrictions on its sale. Moreover, most of these drinks have no warnings on the label. This is why experts feel that the way in which they are marketed and sold should be subjected to better control. One should definitely not become reliant on energy drinks on a daily basis, says Berna. She warns that they should be used with care. So, the next time you feel that you must have one, read the label to make sure that it won’t harm your health and use it in moderation. While it could perhaps keep you awake and energetic, a well-balanced diet, sufficient exercise and a good night’s rest are still the healthier choices.